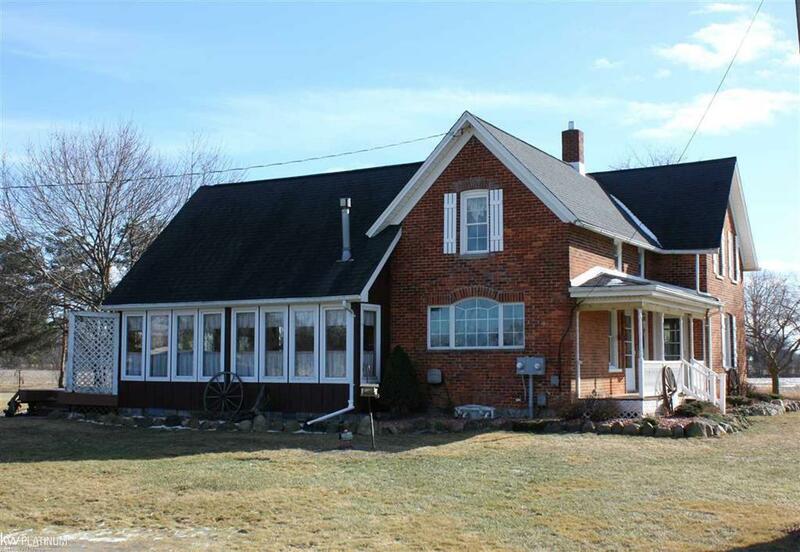 The perfect little farm on 5 acres!This charming & beautifully restored brick farmhouse is stunning!Look no further! Potential 1st floor, 4th bdrm/den. Plethora of updates-hardwood floors, remodeled kitchen w/ corian countertops, tile backsplash, farmhouse sink, crown molding around doorways, windows, ceilings & floors, wainscoting, recessed lighting, newer light fixtures, solid wood ceiling beams, solid wood cathedral ceiling in great room w/ french doors open to deck, updated bathrooms, new roof 2007, 2 furnaces new in 2014 & 2004, Geothermal & C/A 2014(low heat bill), 2 HWT's 2009 & 2014, antique glass door knobs/doors, 2nd floor laundry. 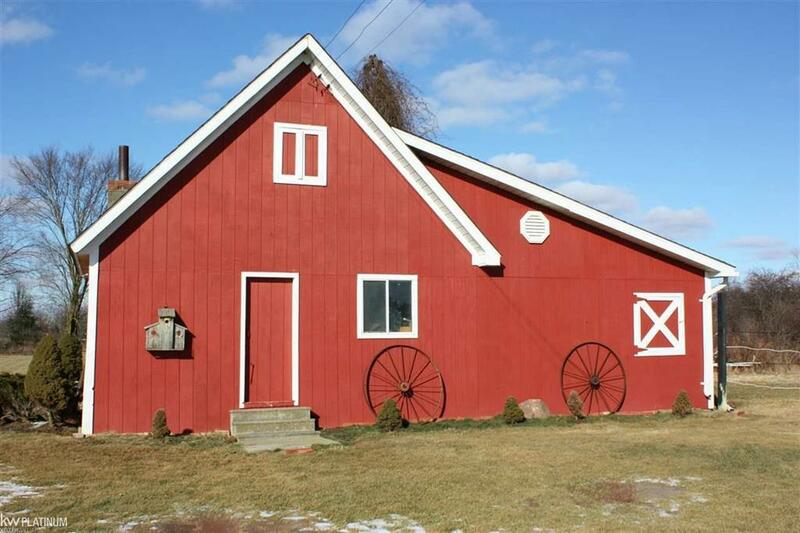 3 outbuildings incl. 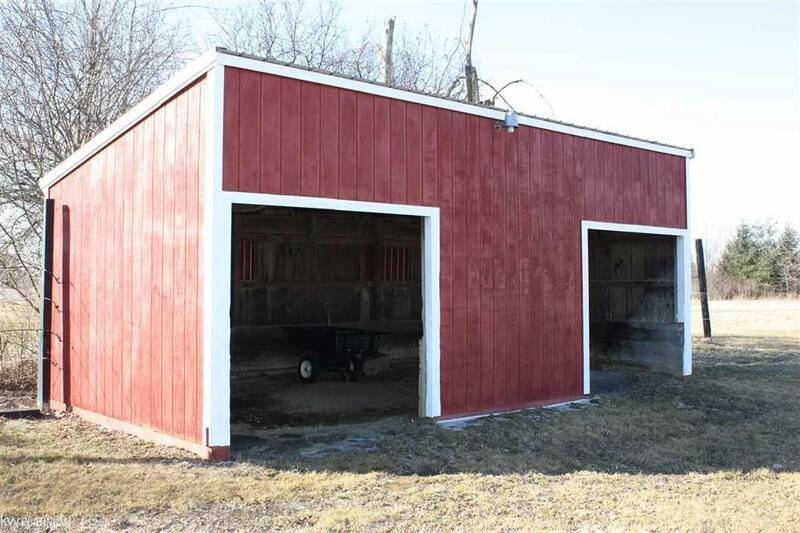 metal pole barn/garage w/ concrete floor elec & water(40x30) having 4 stalls w/ rubber mats (2-10x10's, 12x10, & 9x9), tack room (10x10), newly painted horse barn w/ workshop & loft w/ partial concrete & elec & water(36.5x20.5) and 24x8 lean-to 3/4 enclosed w/ elec & fan. 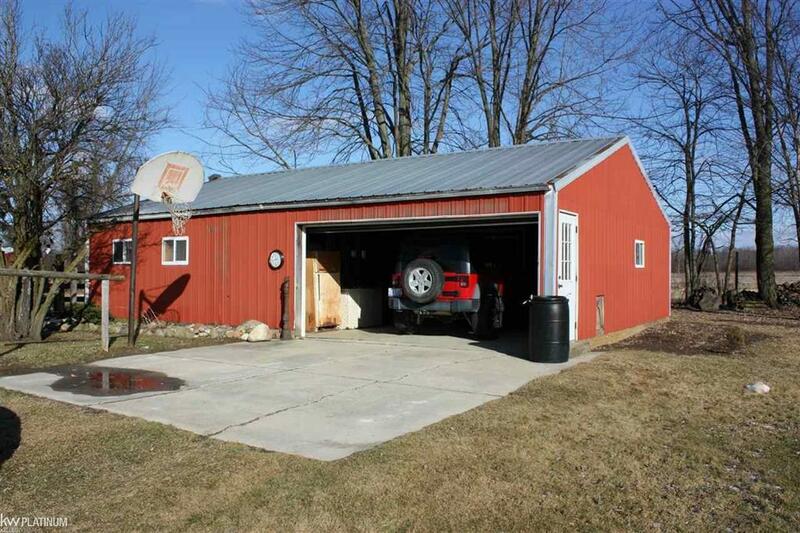 Sectioned areas w/ wood&electric fencing. Home warranty.